The ASHP accredited PGY-1 Pharmacy Residency Program at Aspirus Wausau Hospital provides residents with a broad range of clinical experiences with a focus on inpatient acute care, drug information and practice management. Through pharmacist-directed protocols, residents will gain experience managing total parenteral nutrition, hyperglycemia, kinetics and anticoagulation. Numerous educational opportunities, both public and professional, are available with our partners in palliative care, outpatient oncology and cardiology. Benefits: Health, life, dental and disability insurance, 403B retirement program, 14 days PTO, travel to ASHP Midyear and Great Lakes Regional Resident Conference, as well as other local conferences as agreed upon with Program Director. Enrollment in the ASHP Residency Match Program. Doctor of Pharmacy degree from an ACPE accredited school or college of pharmacy. Wisconsin pharmacist license obtained by October 1 of residency. For more information visit the Department of Safety & Professional Services website. Application materials will be submitted through PhORCAS. For information visit the PhORCAS website. College of Pharmacy official transcript. Personal statement outlining career short term and long term goals, areas of interest, why you would make a good resident, and reasons for applying to the residency program at Aspirus Wausau Hospital. Three samples of pharmacy related work (sample can be from past presentations, drug monographs, or answers to drug information questions). Submission completed by date referenced in PhORCAS. After review of application materials by the residency committee, applicants may be contacted for an interview. Aspirus is a non-profit, community directed health system consisting of 8 hospitals, including Aspirus Wausau Hospital, Aspirus Clinics (a group of 100+ physicians), long-term care facilities, a large home care company, a hospice program and others. Aspirus serves patients in 14 Wisconsin counties and the Upper Peninsula of Michigan. 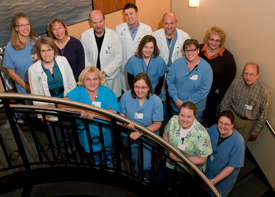 Aspirus Wausau Hospital provides primary, secondary, and selected tertiary care services as a regional referral center and Level 2 Trauma Center. Specialty referral service emphasis exists in Cardiology and Cardiothoracic Surgery, Trauma, Orthopedics, and Oncology. The hospital is licensed for 325 beds; 225 are operational. Average daily inpatient census is 160 with approximately 15,000 admissions per year. Outpatient visits exceed 82,000 and 30,000 emergency department visits occur annually. Aspirus Wausau Hospital was recognized by IBM Watson Health as a top 100 Hospital in the US and top 50 Cardiovascular Hospital. 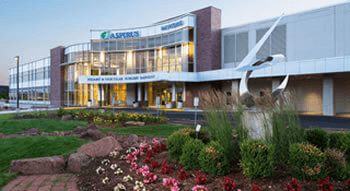 Best known for its world-class cardiovascular program, Aspirus Wausau Hospital also provides leading edge cancer, trauma, women’s health, and spine and neurological care. The Aspirus Wausau Hospital Pharmacy consists of an inpatient pharmacy, a clinic pharmacy, and an ambulatory oncology center pharmacy. The department is progressive and clinically-oriented. The department provides a broad range of drug information services to both professionals and the public and is supported by computerized resources. A state-of-the-art clean room and unit-based automated dispensing technology support our distributive operation. Decentralized pharmacists are located throughout the hospital where they can provide specialized pharmaceutical care and participate in multi-disciplinary patient care rounds. Wausau is a growing community that affords a high quality of life. The population of the city of Wausau is 39,106 with the combined population of Wausau and surrounding metropolitan area exceeding 120,000. The area provides numerous opportunities for four-season outdoor recreation, and is especially noted for fishing, hunting, downhill skiing, cross-country skiing, snowmobiling, hiking, biking, and water sports. The local Performing Arts Foundation and many local festivals and programs provide opportunities for local, national and international cultural experiences. The area is easily accessible and is within 20 minutes of the Central Wisconsin Regional Airport. Visit the City of Wausau’s website for more information.